China Rose Restaurant & Buffet in Brunswick Maine dishes up Chinese food in a family friendly environment. 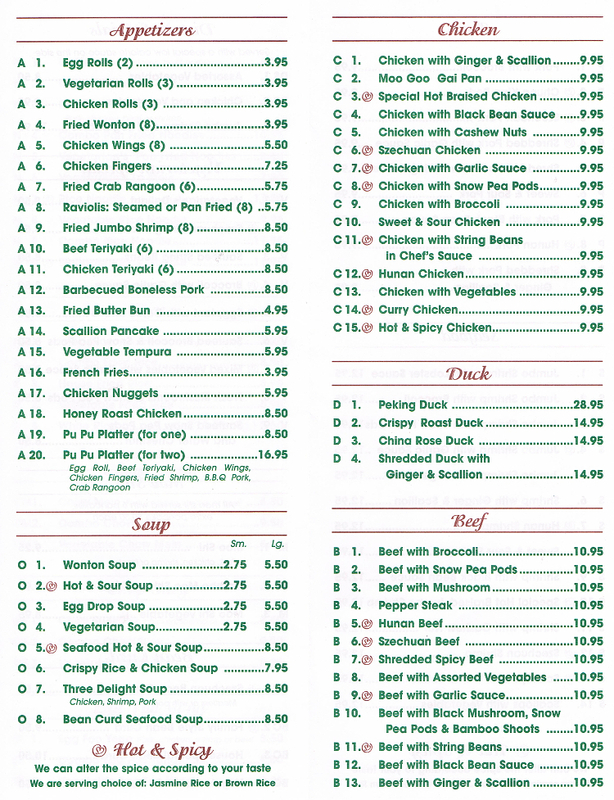 Their over 100 Item buffet is the largest in the area featuring favorites like General Tso’s Chicken, Sushi, Vegetarian Options, Seafood, Chicken & Beef Dishes as well as dessert items. You can also choose to order off their menu. Gift Certifiacate are available and Cash, and all major credit cards are accepted. 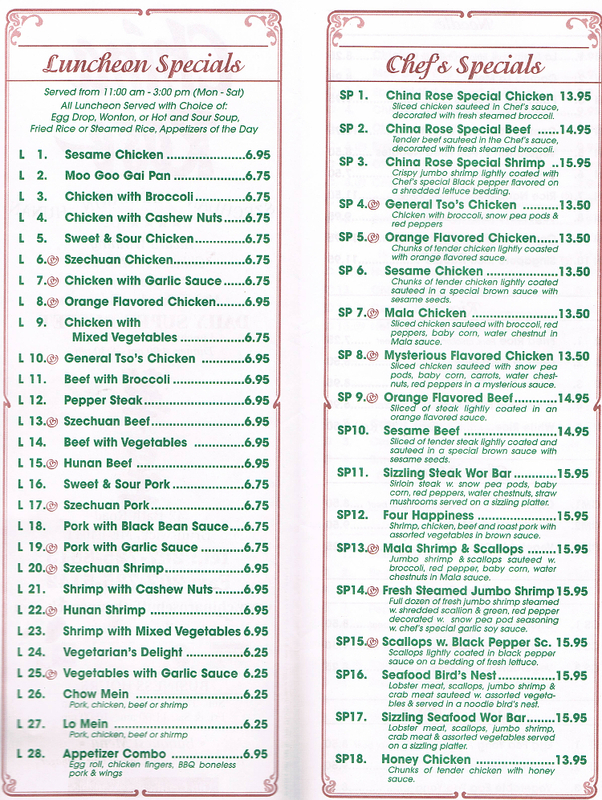 Stop in and try out the Chinese restaurant the Maine Sunday Telegram rated 4.5 stars. 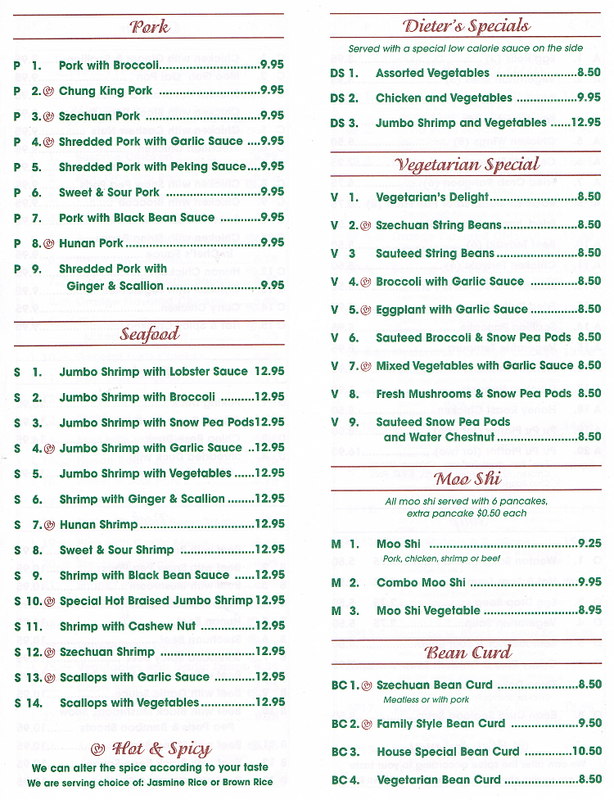 Featuring Szechuan, Mandrin & Hunan Style Chinese cuisine. not the best. Occasionally the entres are low quality. Most of the time beef/broch is good, stir fried correctly, other times is appears and tastes like the sauce was just poured over precooked food and not cooked together. Got chicken and mixed veggies last nite, assumed it would be good stir fry, was a white sauce not stir try, and had broch/snow peas, the rest of veggies were just filler, corn cut thru the cob (? ), large pieces of plain ole sweet bell pepper from Hannaford, large mushrooms but not Shitake or Portebello etc. And the chicken felt and looked and tasted like it was steamed, sat in a bucket for a while, and then was not really cooked into my meal, slimy texture. Really gross. Been patron since 2005 on and off. Probably looking for somewhere else, the price is way too high for the low quality. Meal last nite (take out) was about $30, but worth maybe $15. note fried rice was good quality, so were the egg rolls. Fortune cookies were stale, very old. Buy only fried rice and egg rolls from this place.